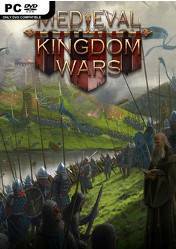 Medieval Kingdom Wars is a real-time strategy game that will put us in the middle ages. Although it seems an RTS game more, the truth is that it has some differences with the rest of the game of its kind, since it has historical accuracy, historical missions, brutal sieges where we can observe the cruelty with which they were taken the walls, we will be able to create immense armies with units of the time, ... and much more. In addition, all action takes place in a changing world in real time, so that any conflict can directly affect certain trade exchanges, with the political stability of certain areas ... That is, it is not just about make war, but we must also foresee its consequences. Another of the most remarkable aspects is the realism for the maintenance of our troops and garrisons, since for example, we will have to loot corpses and hunt rats to feed our hungry legions. Currently it only has a solo multiplayer mode and another cooperative, and soon will be added a great campaign for a single player. There are no comments yet about Medieval Kingdom Wars. You can be the first one!